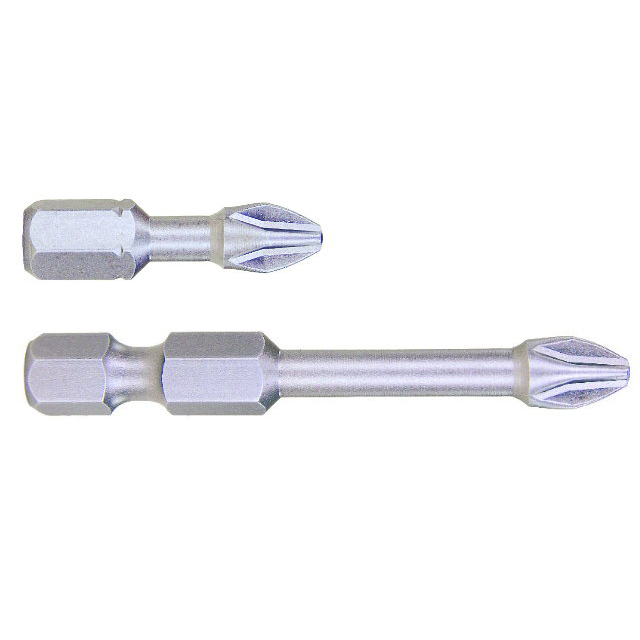 A heavy duty screwdriver bit designed for working with impact drivers. Finish: Sand Blasting, Black Oxide, Chrome Plated, Nickel Plated, Brass Coated, Titanium-Nitride Coated. Unique torsion zone is developed to withstand higher torque and continuous impact action from impact driver. Extreme reduced shaft performs higher torque angle to absorb high peak loads of impact driver and increase bit life. Forged tip fits screws more precise and less slipping.